There are times I go through the blogs I’ve written previously and decide they should be resurrected and refined, updated. This is one of them. It was actually written almost a year and a half ago, but it’s still very appropriate for today. Many months ago, I had a dream. I was walking through a house, and each room was empty. Very empty. There wasn’t even carpeting on the floor; just a few windows with no window coverings. For a brief moment I thought it was my mother’s old house, except the layout wasn’t the same. And it didn’t feel right. But the walls…the walls REALLY needed painting. They seemed to be speckled, with big white splotchy dots everywhere. I couldn’t figure out who in the world would have painted walls like that. They looked so….unfinished. So messy. But the Lord spoke to me, and then it made perfect sense! I wrote this originally over a year and a half ago. And now I look back on what has happened in my life over the past 18 months, and I see how that blank canvas has been repaired and patched, and totally repainted for a whole new look. The big splotches are gone, because the repairs have been made. I’ve completed a number of projects, and started several more. I painted with colors I never knew existed, because I let the Lord take over and show me what I needed to do. Most of the past disappointments in my life, the past rejections, the unhappiness, have been erased, painted over. In my case, I used words instead of actual paint, but the words I wrote were my own personal version of paint. We all have our own type of creativity. Whether it’s drawing, painting, writing, playing/composing music, sewing, cooking, gardening, we all have a blank canvas of sorts that is waiting to be filled. And we are the only ones who can fill it. And fill it in our own special way. Yes, there are several things I still need to make new in my life. And there will always be more. But I’m looking forward to seeing what else the Lord is going to do as I begin painting more patched walls with fresh colors, fresh words, and fresh ideas. And I’m going out now to buy more paint and brushes, and more journals to fill! What do you need made new in your life? What walls do you need patched? All you have to do is ask Him. 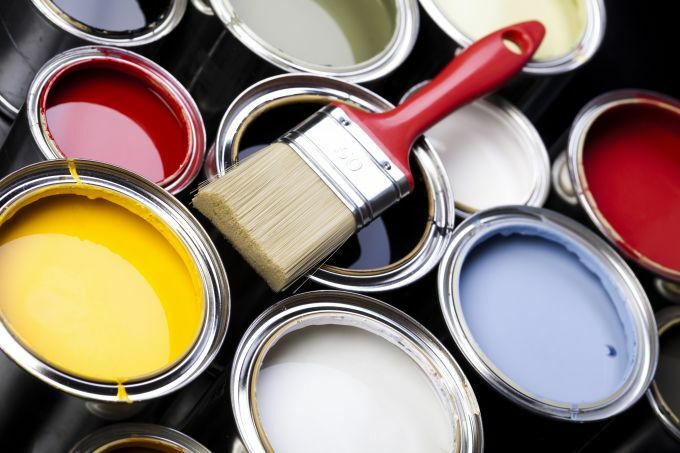 And then go pick out your paint, your journals, your yarn or fabric, or your seedlings, because when you come back from the store, there are a lot of things that are going to be ready for a new look! And as you begin to create that new look, just remember, He’s looking over your shoulder, smiling, as you accept and step into your new beginning. There is so much ahead that’s waiting for you to do. What are you waiting for?